The ability to record audio using your phone’s microphone is simply fantastic. It makes voice recording much easier and handy. Voice recording is indeed essential for students, reporters, singers, businessmen, journalists and even to simple users. It is useful for recording lectures, meetings, songs, conversations, interviews and many more. 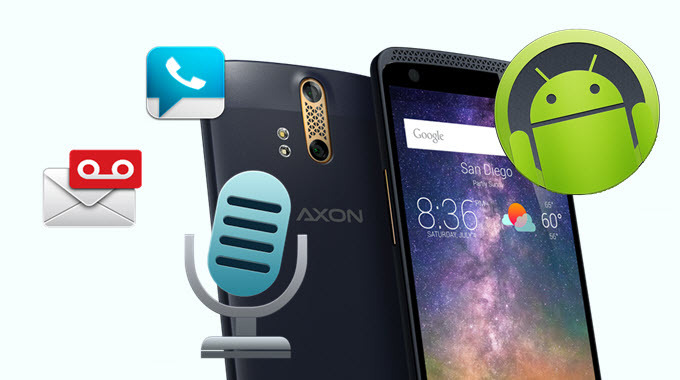 All Android smartphones are equipped with basic voice recording feature, however most of them have drawbacks. The inability to tweak settings, sound limitations and lack of features are just some of the many reasons why one sees the need of getting a special voice recording app for android. Third party applications often come with more features and functionalities. But with tons of free Android voice recorder readily available online, which one is the best? More than just an ordinary voice recorder, the RecForge II is loaded with tons of functions users would truly enjoy. It doubles as an audio editor and file manager where you can rename, delete, copy, move, sort and convert your audio recordings into different formats. 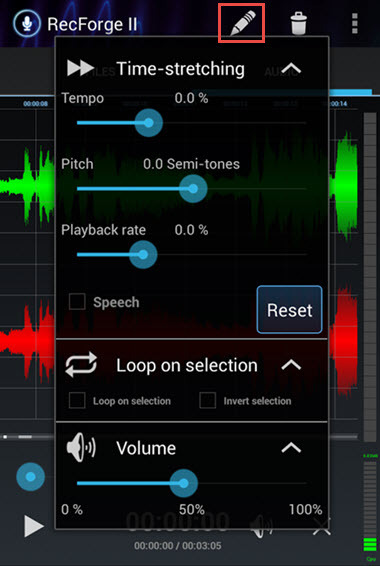 This app equally features time stretching with pitch adjustment and playing rate along with various options such as skip silence, archive recordings, scheduled recordings, cloud storage and many more. The RecForge II comes in two forms – free and paid version. The pro version obviously doesn’t have limitations and it has more functionalities than its counterpart. With the free version, it will only allow you to record up to 3 minutes when using MP3, OGG, WMA and FLAC formats. If you want unlimited recording but don’t want to avail the PRO version, you can use the WAV format instead as it has no limits. 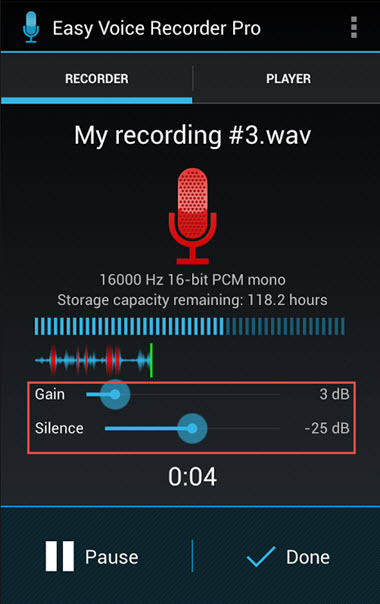 Another great voice recording app for Android is Cogi. What makes this app wonderful is that it doesn’t have any limitations when it comes to recording audio. But the real gem of Cogi lies on its unique ability to add notes, take pictures and insert contacts on your recording to further personalize it. 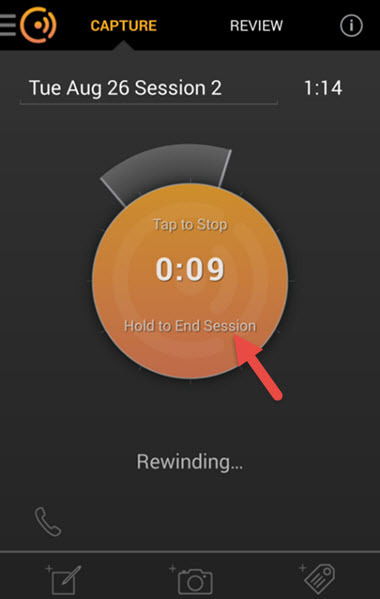 Additionally, it comes with a highlight feature which allows you to manually instruct the app when to stop and start recording. This enables users to record a separate “important” section within the recording. Cogi also has free and paid version. The difference is that on paid version, it allows two-side call recording and recording with transcriptions which corporate users may find very useful. Overall, using the app is generally simple. The interface is easy on the eyes and there are no unfamiliar buttons that leaves you wondering what it is for. If you’re looking for a free voice recorder app for Android that gets the job done easy, then you might want to check out Smart Voice Recorder. This old-school voice recorder doesn’t have the bells and whistles of modern apps, the interface is very simple with few buttons you could ever imagine. But, this nifty tool is loaded with great features. The technical customization of Smart Voice Recorder is almost at par with other paid voice recorders. It facilitates you to change the quality of the recording, calibrate the microphone for different settings, hide recordings from media players and many more. But the downside of this app is the annoying ads. Though, you can remove them with a small fee of $1.50. If you want to record voice on Android easily and stress-free, the Easy Voice Recorder might be the one you’re looking for. This app is made for simple voice recordings, no more and no less. Using it actually takes place in 4 super simple steps: open the app, tap the record button, share it, and close the application. Other features of it include saving recorded files to SD card, transferring to PC, setting file as ringtone and recording in background. Now if you need more features, the paid version includes the ability to record in stereo, Bluetooth microphone support, gain adjustments, removal of ads, skip silence and many more all in the tune of $4. 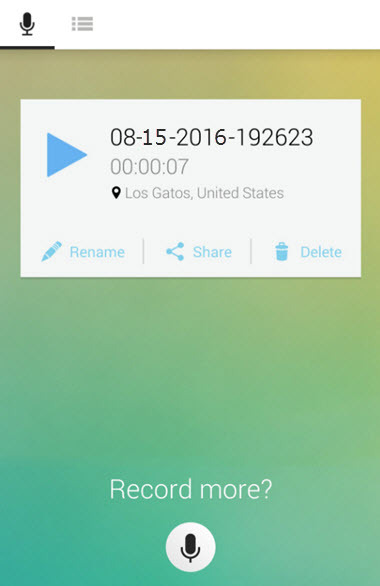 Last on the list of voice recorder apps for Android is the Skyro Voice Recorder. With its sleek, modern and very intuitive user interface, it is arguably one of the best looking apps in this category. It allows you to change the theme and you can directly link your Dropbox account as well as SoundCloud into the application for easy file sharing. 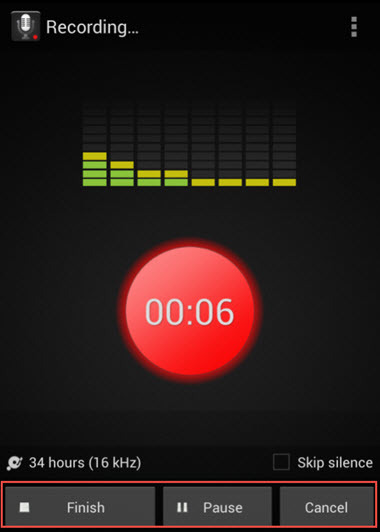 Other features of the audio recorder include tags edit, unique file categorization, timeline viewing, various audio formats support, audio gain and location-based recordings. By upgrading the app, you’ll get to enjoy more features such as additional themes, file compression, full syncing options and Bluetooth recording. Indeed, there are many ways to record voice on Android and you are not limited to the built-in features of your phone alone. With a great voice recording app, you are also supported to edit, share and manage audio files easily.